Rowley Regis’ Jason Welborn would have “boxed anywhere” to get another fight under his belt after being handed a welcome ring date. The experienced puncher is preparing for his 28th contest on Saturday, 25th November as he edges towards 12 years as a professional. The 31-year-old is expecting to be in action over, at least, six rounds when he steps through the ropes at the Imperial Banqueting Suite on Lichfield Street in Bilston, Wolverhampton. He boxes under BCB Promotions’ banner, but is tied to the MTK Birmingham stable headed by former British and European champion Matthew Macklin. Welborn’s 2017 stalled after one of his finest wins, a one-sided points victory over the unbeaten Marcus Morrison with Sky Sports viewers watching on live in March. It will be exactly eight months later when he laces on the gloves again and he wants to be battling for more belts, as early as possible, next year. Success at Morrison’s expense earned him the WBC International Silver middleweight title and he’s also been a Midlands champion at two weights, welter and super welter. Two attempts to claim British honours, also at welter and super welter, were unsuccessful but Welborn is not giving up on his dream of getting his hands on a Lonsdale belt. “It’s been frustrating,” he told bcb-promotions.com. “I’ve been training full-time to make sure I’m ready for a big fight and it hasn’t come along. I thought the phone wouldn’t stop ringing after I beat Morrison, but maybe there an element of ‘who needs him?’ after that. “I’m not going anywhere to be a walkover, I’ll turn up to win and I believe I belong at that level. I want to earn good money and win titles from my remaining years in the game. “My sponsor, Dean Hiscox at Daneways (Surfacing & Construction Contractors), used to box and he’s been as good as gold with me. I can’t thank him enough. 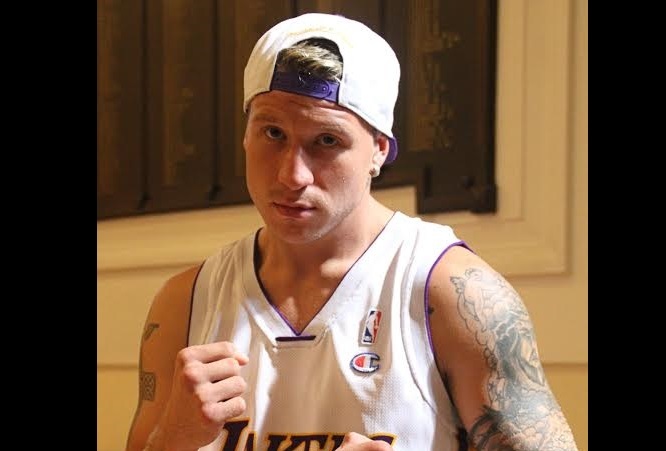 Welborn boxes on home turf for the first time in 18 months and will want to put on a show for his supporters. The new year might bring a rematch with Brummie Craig Cunningham, who outpointed him for the Midlands super welter crown in July 2016 after a compelling battle. Cunningham holds a WBC International middleweight strap, with both having their sights set on British honours. Liam Williams holds the British super welterweight title, which would be of great interest to Welborn and Cunningham whilst English champion Ted Cheeseman is another target. “I’d love to put it right with Craig Cunningham,” he added. “With the right camp I know I’d beat him this time. I thought I’d done enough to get the result before, but that’s boxing. “We’ve talked about Cheeseman and he’s a Matchroom fighter, so if that came up it would be on a televised card. It sounds good to me, but that’s not where my ambitions end. Welborn supports the main event for the vacant Midlands light heavyweight title, which will be contested between Tipton’s Ricky Summers and Coventry’s Joe Sherriff. Black Country boys James Beech Jr and debutant Antony Woolery also feature on the under-card, along with Stoke’s Nathan Heaney.